Denon DM41 - An Introduction To Hi-Fi & A Fully Featured Alternative To A Soundbar. While Denon's DM41 has been around for a little while now, it remains as popular as ever and is the latest iteration in long line of Award winning compact Hi-Fi products from Denon. Offering a wealth of features and connectivity, coupled with strong amplification and tucked in a box no larger than the footprint of a A4 piece of paper, the DM41 is perfect if space is at a premium. But it most beguiling feature is it’s capacity to offer a genuine taste of sonic benefits, and the enjoyment to be had, from a separate’s Hi-Fi system; it's a fantastic way to start your Hi-Fi journey. Denon has been at the right at the forefront of Award-winning compact, one-box solutions for a good 20 years and while FM radio, DAB and CD have always been the mainstay of Denon's previous iterations, consistent improvements and refinements have lead to today's DM41, which now offers a much wider range of facilities. An additional feature for this model is the inclusion of a Bluetooth receiver module, ideal for straight-forward streaming of music from a phone, tablet or laptop. And if wish add a turntable, a single set of RCA’s connections will do the job perfectly, and what’s more, if your turntable has a built in phono-stage, these is no need for any further investment, just settle down and enjoy your vinyl. 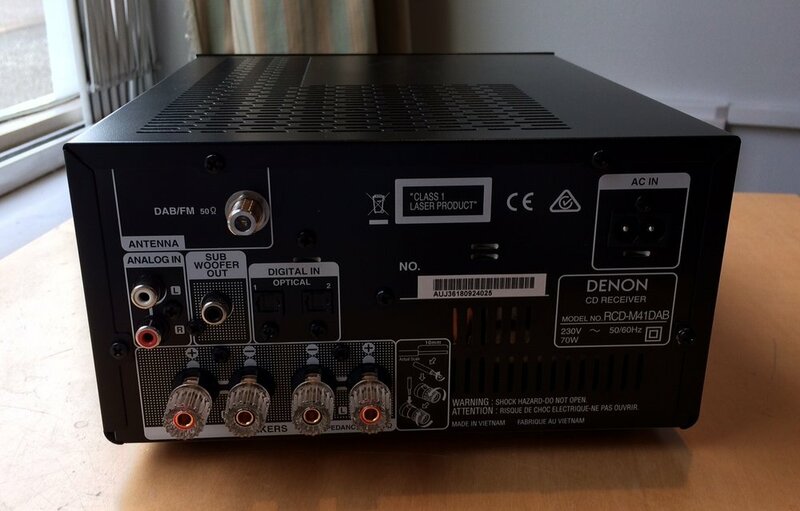 The Denon DM41 also offers a neat little solution for enhancing your TV sound, in glorious 2.1, that will offer clarity and dynamics that just can't get from the vast majority of TV speakers. Small enough to slot easily into most TV stands, the real beauty of using the DM41 for TV sound is the inclusion of "sub-out" connection allowing you to experience real impact while watching films and TV and also allowing you to enjoy enhanced detail with both speech and ambient sounds, making even everyday viewing a much more enjoyable experience. Amplification is rated at 30 watts into 6 ohms which should be more than enough power to drive and control speakers to more than acceptable levels in small and medium rooms. We partner our display DM41 with a pair of Monitor Audio Bronze 1 speakers, which, to our ears, an ideal match. But stepping up to the Monitor Audio Silver 50 makes the world of difference, with clearer separation, a more realistic sense of an tone and timbre to instrumentation, clearer vocal presentation and a more rounded and detailed bass output. 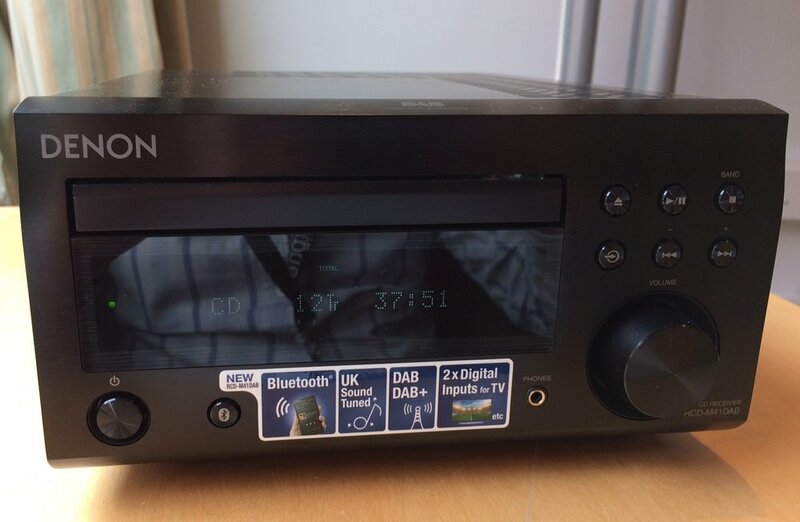 The Denon DM41 offers fantastic value for money and also gives a great introduction to the world of Hi-Fi and all of the reward a well chosen components can bring. 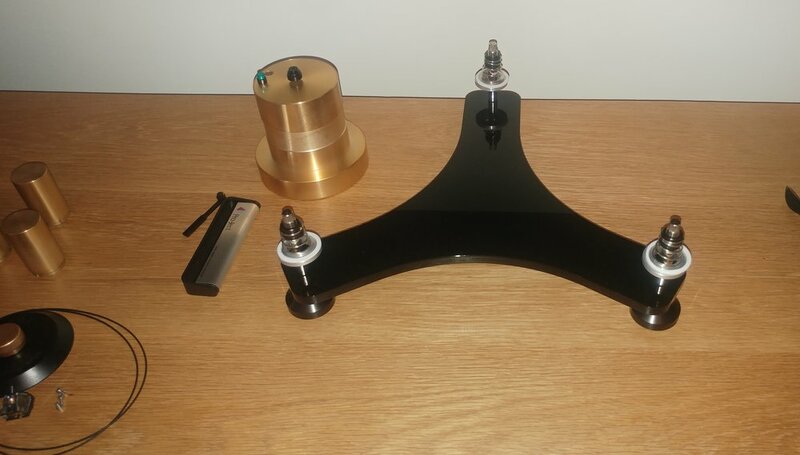 Rega, QUAD and Spendor Hi-Fi System Focusing On Vinyl And CD! We realise that not everyone wants to stream their music, some people like to keep it simple with CD and Vinyl. With this in mind we put together a quality mid range system (Under £4000 excluding cables) for a small to medium room that sounds great and focuses on more traditional formats. The honest shot showing the connecting cables! Starting with the hub of the system, we have the Quad Artera Solus. The Solus is an amplifier / CD combo in the very high quality Artera casework giving it a really solid, hefty feel. For our record spinner we chose the latest version of the iconic Rega Planar 3 with Elys cartridge and the Rega Fono MM phono stage. The Planar 3 is available in Black or White as well as the Red finish shown below, and without cartridge if you would prefer to choose your own. 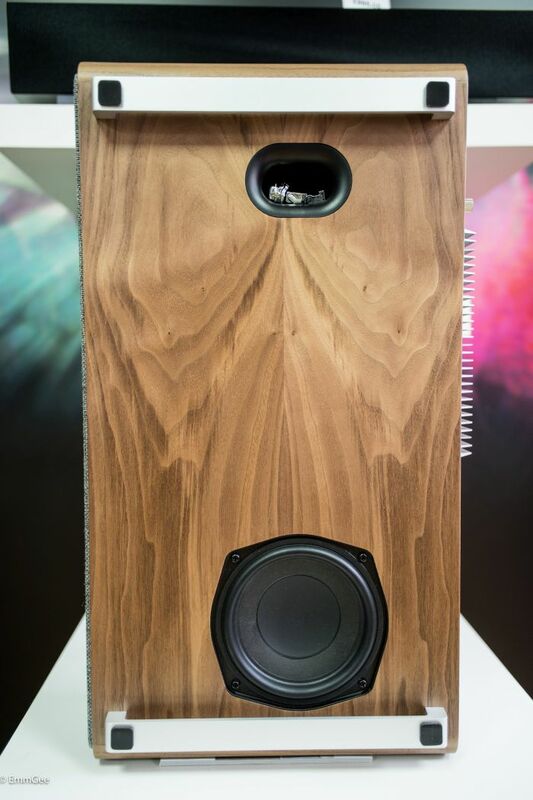 And last but not least, one of the most compact floorstanding speakers we have, the Spendor A2 in black. The Spendor’s are also available in Dark Walnut and Natural Oak. White is available at a premium. Grills are available as an optional extra. We tried several pairs of speakers with the system and liked the Spendor’s the most. Although they struggle to fill a big room, the combination of subtlety and a very natural musical presentation won us over against some of their bigger rivals. Although this system is excellent with CD and Vinyl it does have potential to expand. The Quad Solus does have Bluetooth if you want to dip your toe into the streaming world. It also has digital inputs, and analogue outputs for the Quad Artera Power amplifier for a bigger room / speakers. Feel free to come in and have a listen. Thanks for reading Nick, Joe & James - Audio T Portsmouth. New Ruark R5 Coming Very Soon! Ruark have been hard at work and a super new model is being added to the range. We are expecting a full complement of features and the sound quality that Ruark have become renowned for. To be launched at the Bristol Hi-Fi Show (organised by AUDIO T) 22nd to 24th February. We would love to tell you more but we are sworn to secrecy until the launch date! After an hiatus of 25 years, we are proud to announce that we are now an official Linn dealer at Audio T Oxford. Linn, based in Glasgow is one of the oldest and most respected British Hi-Fi manufacturers. An engineering firm; building turntables, loudspeakers, amplifiers and digital network music players. Never one to follow the herd, Linn led the development of digital music streaming and network systems. The iconic Sondek LP12 - (pictured above) has been in production continuously since 1973. Every single Sondek LP12 is made by hand and signed by the person who builds it. Every single Sondek made, has the capability to be upgraded to the latest specification. 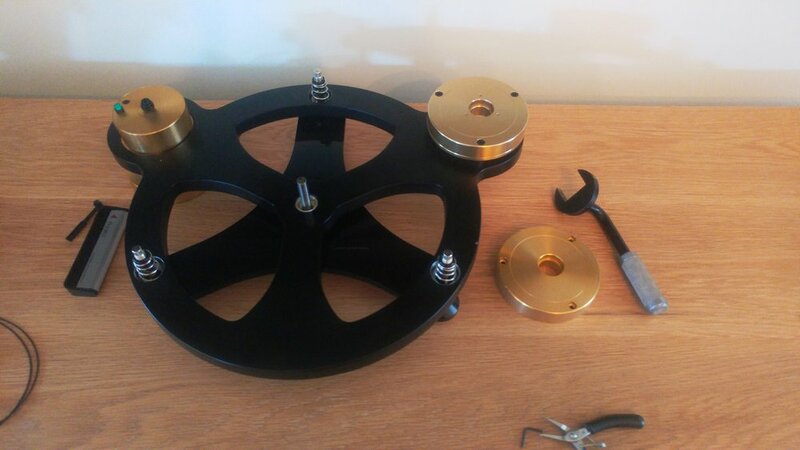 Our resident turntable Guru, Chris Henry, has been servicing, upgrading and generally fettling them for over 40 years!. The three ranges are Majik LP12, Akurate LP12 and Klimax LP12. We are stockists of the Linn Majik DSM, a true one-box two-channel music system (available in black or silver) with a powerful 90W per channel amplifier, 15 digital (HDMI, coaxial, optical ) & analogue inputs, a built-in phono stage (MM) for connecting a turntable, Tidal & Qobuz lossless streams are supported, streaming from a NAS and Internet radio. The system can be controlled via both iOS and Android apps, a computer desktop option is available too. A remote control for convenience is supplied. 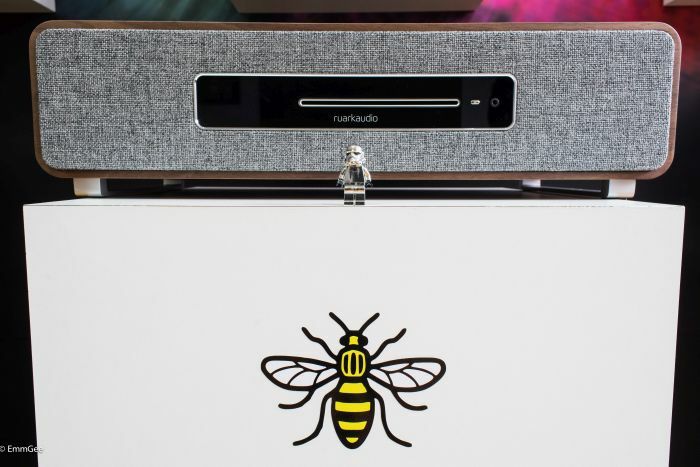 The Linn Majik DSM is a truly versatile system that allows you to connect a turntable, TV, set-top box or a games console - No problem. There are 3 optical, 3 coaxial, 4 HDMI and 4 analogue inputs (one of them for a turntable). Linn have had years to perfect the control system and the Linn Kazoo control app is well designed and is a delight to use. Choose your source, select your music and play - That’s it. This is a great music system, at a very reasonable price. Packed full of detail and rhythm. It will make you want to listen to more music. Whether that be your favourite records or to stream your music digitally it’s fantastic! So come on in and have a listen to one of the best British Hi-Fi brands around! We have recently taken on the New Quad Solus from the Artrera range and ATC loudspeakers. We were hugely impressed by the Solus when first we heard it, and likewise with the ATCs. When both products arrived on the same the same day we thought why not run them in together. 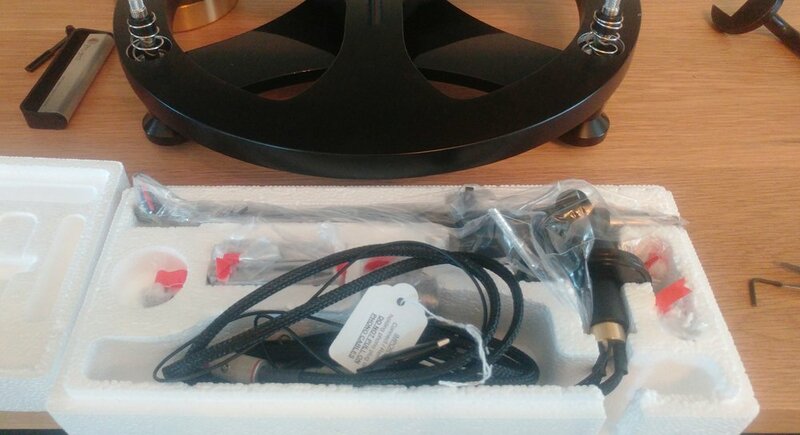 One of the first speakers we received from ATC where the SCM11 and we thought they would be a good match for the Quad Solus. We think we were right. The Solus features a CD player, Bluetooth, accessible DAC including 3 digital coax, 2 optical inputs and an Asynchronous USB. There are 2 analogue RCA inputs as well. You are also spoiled for choice when it comes down to outputs. There are 2 analogue pre-outputs, RCA's and Balanced allowing you to add the Artera Stereo power amp should you wish. Finlay there is also an optical out should you need. A very well spaced product for a one box solution offering some serious upgrade options. Moving to the other end of the system, the ATC SCM11. A beautifully designed infinite baffle (closed box) two way speaker, offering 4 finish options. Black ash, Cherry (featured) Satin black and white. Made in Britain I might add. 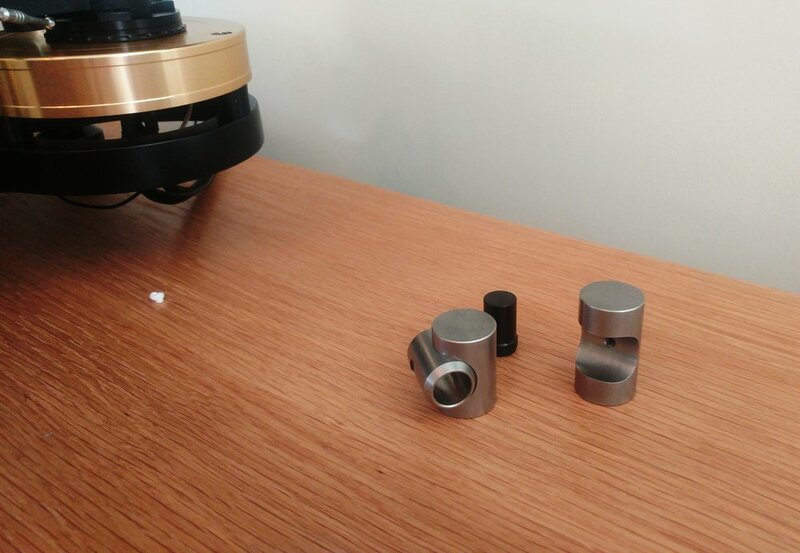 We mounted them on the Custom Design FS104 signature stands, as everything seems to work well on them, connected them with Chord Rumour speaker cable, popped in ''Long Road Out of Eden'' by the Eagles and pressed play. Straight out of the box the SCM11s sounded pretty good if not a little restrained as one might expect. We left them to it for a couple of hours and unboxed the rest of the ATC speakers that had arrived. Such as the SCM7 SCM19 and the SCM40. We sat down for a listen and even after a relatively short running in period they had already opened up and where starting to sound more engaging. As good as they sounded, we knew there was more to come, and to form an opinion then and there would be unfair so we left them running for the rest of the day and over night. Towards the end of the following day we sat down again and put them through their paces. By this time the Solus had plenty of time to sound at its best, and overall performance was vastly improved from the previous day, by that I mean almost a totally different sound. The bass extension was great, dynamic, tight and fun. To let the bottom end show off a little, we played Newton Faulkners version of Massive Attacks “Tear Drop”. Newton’s slightly gravelly vocal characteristic really came through, but the really fun bit happens right at the end. There is a huge bass tone that can sound either flat or overblown on a lot of systems. Not this one. A good test for clarity and separation for vocals is Blood Money by Tom Waits ''Misery is the river of the world'' specifically. With Waits distinctive vocal style, it is not always easy to understand what he is growling on about. Having said that even when every word is crystal clear one can still be left none the wiser. The lyrics were well defined and easy to make out. The overall sound from the system is well detailed without being analytical, well defined in the bottom but most importantly really good fun to listen to. As cliche' as it sounds the Solus SCM11 combo really brought the music to life, it gives spaciousness and real presence allowing you to fully immerse in whatever you are listening to. We had a quick play with the DAC side of things using the Sonos Connect. We used a Chord Company Clearway Digital coax interconnect and Clearway Analogue so we could switch between them. We simply repeated what we had previously listened to through Spotify. The difference was quite clear. The Solus dac made a really good account of itself improving the Spotify source no end. To conclude, the Quad Artera Solus is versatile, solid great build quality and is fun and engaging to listen to. A grate value product that punches above its price point. We can't wait to spend more time with the SCM11 and rest of the ATC range. The SCM11 aloud the Solus to really stretch its wings, they are responsive, engaging, fun with great tonal balance. We can't find a bad word to say about them and are really looking forward with more electronics in the future. Come and hear for yourself. We look forward to seeing you at Audio T Portsmouth.